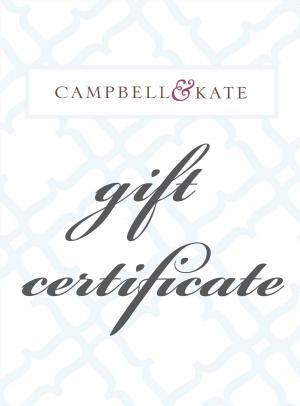 When you give the gift of Campbell & Kate to your sister, friend, co-worker, wife, girlfriend, mother, aunt, or cousin, she'll thank you each time she easily fastens the button at her bust or catches a glimpse of her hourglass figure in the mirror. An electronic gift certificate is the fastest way to send your gift--it's emailed to your recipient as soon as you complete the checkout process. We will be happy to make arrangements for the mailing of a paper certificate instead if you contact us.